Rabbi Allen Schwartz became the spiritual leader of Congregation Ohab Zedek in 1988. He is an alumnus of Yeshiva College and received his Master of Arts Degree in Bible, Rabbinics and Halacha from Yeshiva University's Bernard Revel Graduate School, where he continues to work on his doctoral thesis on Rashi's methodology. Rabbi Schwartz was granted Smicha from the University's affiliated Rabbi Isaac Elchanan Theological Seminary. He currently holds the Raymond J. Greenwald Chair in Jewish Studies at Yeshiva University, where he has taught since 1983. 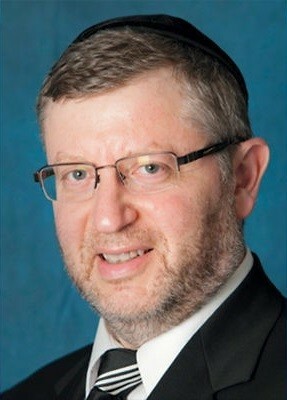 Rabbi Schwartz and his wife Alisa moved to the Upper West Side in 1985, where he served as rabbi at Congregation Ohav Shalom before moving to the pulpit at Ohab Zedek. Rabbi Schwartz's major focus at OZ is to foster connections within and among the many different age groups and constituencies of Jews living on the Upper West Side. Seeking to make all kinds of religious opportunities available to Ohab Zedek members, he brings information to the community regarding such subjects as Chesed, Tzedakah, Torah learning, Shatnes testing, Tefillin and Mezuzah service, and assistance with Mitzvah and Shabbos observance. Rabbi Schwartz's goal for the community is to make every OZ attendee a member of the larger community family. Rabbi Schwartz gives weekly classes on a variety of subjects at OZ and also taught fifth through eighth grades at Manhattan Day School. He has lectured extensively for the Board of Jewish Education of New York at elementary and high schools in the New York area. Rabbi Schwartz has published curricula on Biblical themes for Jewish day schools nationally and has written Bible curricula for Yeshiva day schools and high schools. He serves on the executive board of the Rabbinical Council of America and has also served as President of the Council of Orthodox Jewish Organizations of Manhattan's West Side. Rabbi Schwartz was the camp rabbi and educational director of Camp Morasha from 1996 to 2000 and then served as the educational director of Camp Mesora from 2002 to 2005 and continues to dedicate time during the summer months to serve its educational staff. Rabbi Schwartz recently completed a scholarly edition of the Commentary of the Rokeach to the Book of Mishel (Proverbs), will soon publish his own commentary on the Pesach (Passover) Haggadah - The 4 Sons Haggadah. Rabbi and Alisa Schwartz have six children and eleven grandchildren.